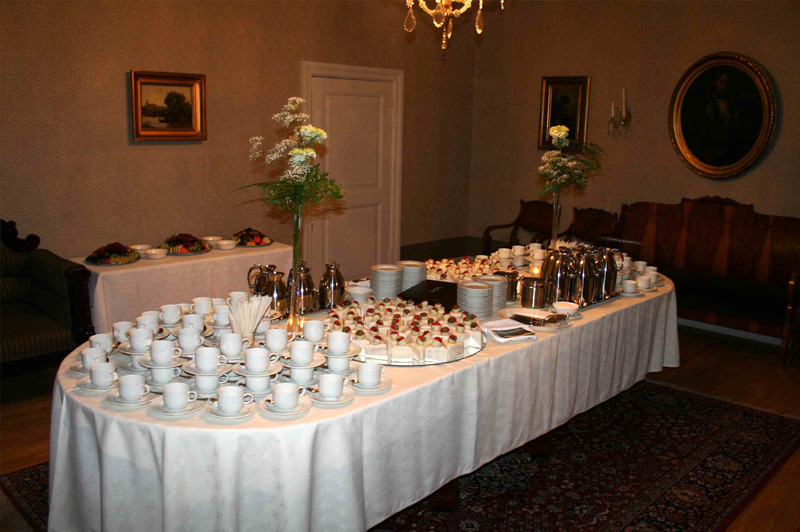 If you wish to host a wedding party or celebratory reception in the manor house, we can provide a catering service in addition to rental of the rooms. We offer pre-set menus for festive occasions and can also prepare a completely new menu based on your tastes and wishes. 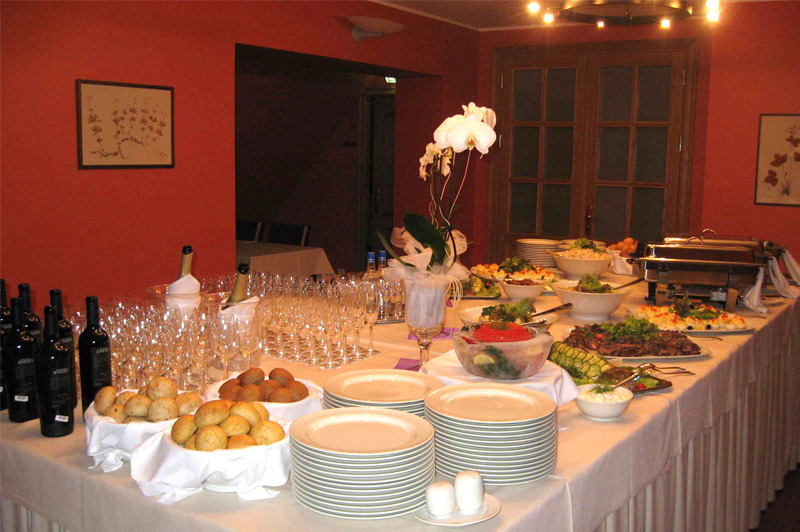 Due to our extensive experience in the field of catering for weddings as well as birthdays and company parties, our chefs and servers have the skills required to provide catering for even the most important events. We also offer catering services for other special events: in our barbecue pavilion, near a bonfire site, in the manor park, or on the balcony of the manor house. We can also provide you with refreshing picnic baskets.